Announced on Thursday, Bob Swan is now confirmed as the full-time replacement CEO for Intel. 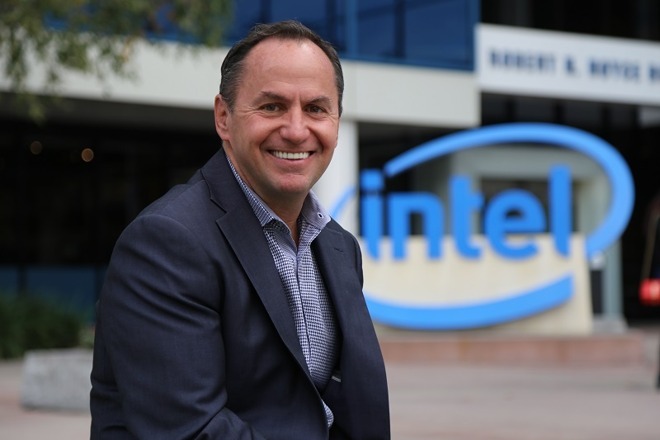 Following a six-month search for a new chief, one that reportedly included Apple hardware lead Johny Srouji as one of the potential candidates for the role, Intel's board eventually exhausted all avenues and elected to stick with the interim CEO on a more permanent basis. Following the managerial change, Intel is now on the hunt for a replacement chief financial officer, to take over the role that Bob Swan vacated. For the moment, vice president of Finance and director of Intel's Corporate Planning and Reporting Todd Underwood will be the interim CFO while the search continues. Previous CEO Brian Krzanich resigned in June after five years in the position. At the time, the chip producer advised Krzanich resigned following the revelation he had a "past consensual relationship" with a company employee, which violated Intel's non-fraternization policy for managers. In his first-day email to Intel employees, customers, and partners, Swan writes he intends to focus on four "critical imperatives" for the company over the coming months. Two of the imperatives is to be "bold and fearless" in the market, and to evolve the company's powerful culture" and come together as "One Intel." Swan insists the "core strategy is not changing" for the company. "We've embarked on what we believe can be the most successful transformation in corporate history," writes Swan, suggesting Intel is evolving from a PC-centric firm to a data-centric version. Possibly the most important of the four items on the list is that the company's "execution must improve. And it will. Our customers are counting on us." It is likely that Swan is referencing multiple elements in this statement, such as the growth of competitors in the mobile space while Intel falls behind, and continued issues with its 10-nanometer chip fabrication process that has been stymied by repeated yield issues and other delays over the last few years. In last week's financial results, Intel reported lower-than-expected revenue of $18.7 billion, narrowly missing analyst expectations of $19.01 billion. The company blamed "weaker modem demand," notable due to it being a major modem supplier to Apple, as well as a slowdown in China and a "weaker NAND environment."